I am behind in my posting! 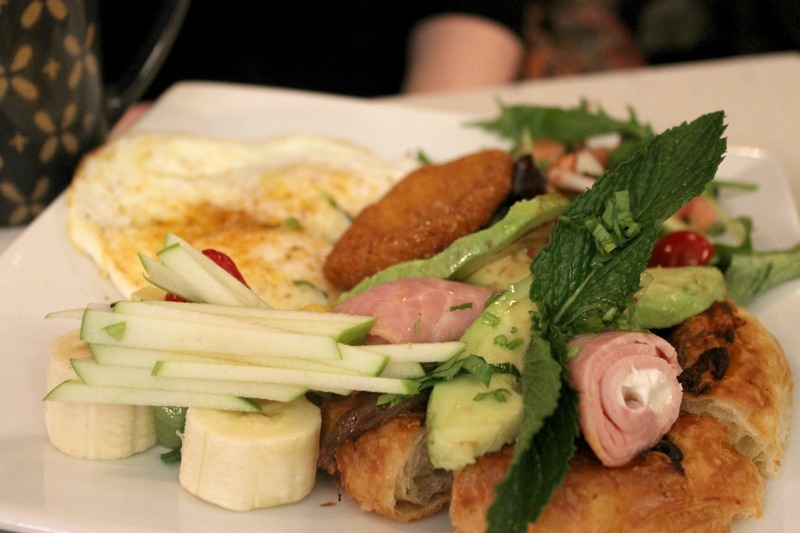 What better way to give you some early morning drool worthy brunch pictures? I went to brunch with my friend Kendra and I’m so lucky that she hired me for my first job out of college and even luckier to call her a friend, not just a former boss! She lovely in every way and always knows everything there is to know about whats going on and what’s good in Philadelphia. 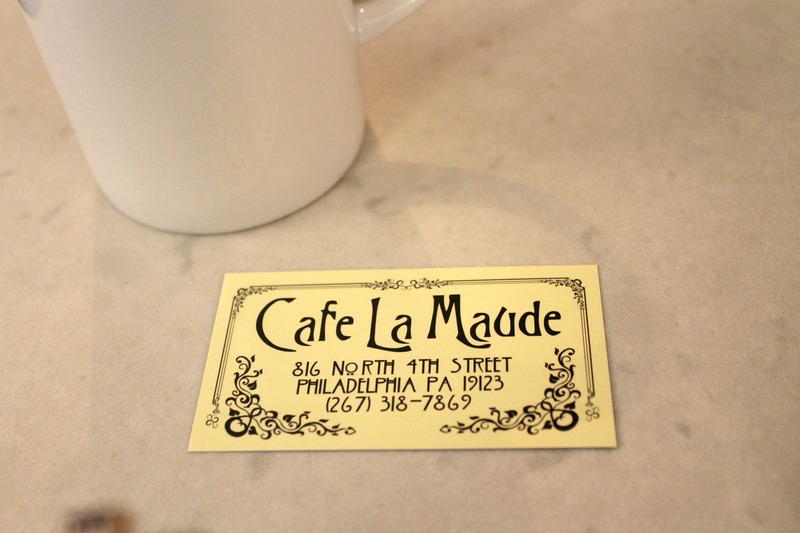 We went to Cafe La Maude, a parisian-lebanese bistro in the norther liberties section of philly. It did not disappoint! The owner and his wife were right at the door greeting customers as they came in. 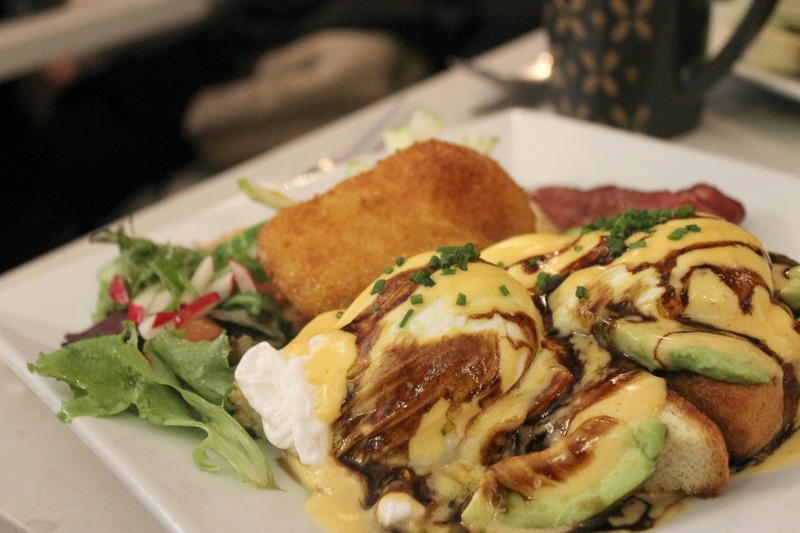 Our brunch was amazing…are you drooling yet? Above is the caprese benedict! It was just as amazing at it looks. It’s the feel of Paris and the taste of Beirut all hidden in Philadelphia! You won’t find it by strolling the city so make a point to take a quick trip up to northern liberties! Categories: Golden Local Eats | Tags: brunch, cafe la maude, northern liberties, philadelphia, philadelphia brunch | Permalink.